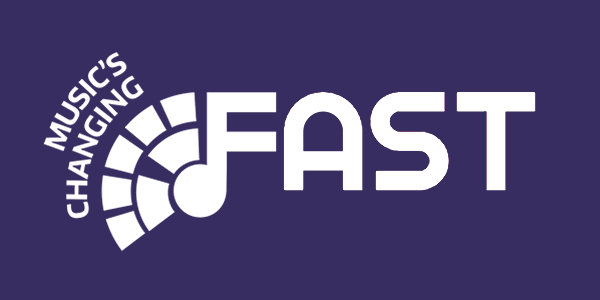 The FAST project was in full force at the ACM’s annual Computer-Human Interaction conference – widely known as CHI – in San Jose in May. CHI is the leading conference for research into interfaces and interaction and was attended by over 3,000 delegates this year. First up for FAST was Nottingham team’s work on the Carolan guitar as an example of an ‘accountable artefact’ a physical object that can becomes associated with a growing digital record and it is passed among different custodians over its lifetime and that can interrogated to tell various stories of provenance, use or personal meaning based on this. Their research paper on Carolan was well received, winning a “Best of CHI” honorable mention (awarded to the top 5% of all submissions) and also being nominated for a Best Art paper (the first year for this category). The Nottingham FAST team (Mixed Reality Lab) also presented Carolan as an exhibit at Interactivity, CHI’s hand-on programme of exhibits. FAST also contributed a paper on brain-controlled interfaces for entertainment, specifically a study of the design and experience of our associate artist (and PhD student) Richard Ramchurn’s unique movie #Scanners. Richard, Matthew and the team also exhibited #Scanners at CHI Interactivity, attracting great interest and invitations to stag the work elsewhere. Queen Mary University of London’s FAST team participated in the CHI 2016’s Music and HCI workshop and gave Open Symphony performances at the CHI’s Interactivity session. 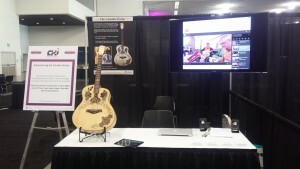 Several FAST demonstrators were presented in their review paper “Crossroads: Interactive Music Systems Transforming Performance, Production and Listening” (http://bit.ly/crossroadsMusicHCI) at the Music and HCI workshop which gathered international experts and pioneers of the field of Music Interaction. Read more about this news item on our FAST blog.